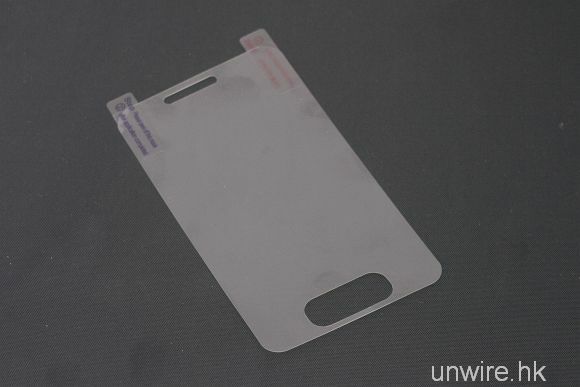 What appears to be an iPhone 5 screen protector has appeared on the Hong Kong-based website Unwire.hk, which fits a screen significantly larger than the 3.5-inch display of the iPhone 4. If genuine, the screen protector corroborates long-standing rumors that the iPhone 5 will come with a larger display. In addition to the larger size overall, the screen protector also has a cutout slot for a bigger, elongated home button. This is not the first time we’ve seen alleged iPhone 5 accessories that would fit a larger device. Earlier this month, design documents emerged for a supposed iPhone 5 case. MacRumors commissioned the production of a case based on the designs, to see how the measurements compared to the iPhone 4. And, sure enough, the case would fit a device estimated at 4.7-inches tall by 2.6-inches wide. The iPhone 4, by comparison, measures 4.5-inches by 2.31-inches. The case was also shaped differently thickness-wise, measuring 0.3-inches at the top, tapering down to 0.065-inches at the bottom. IPhone 4 has a consistent thickness, from top to bottom. 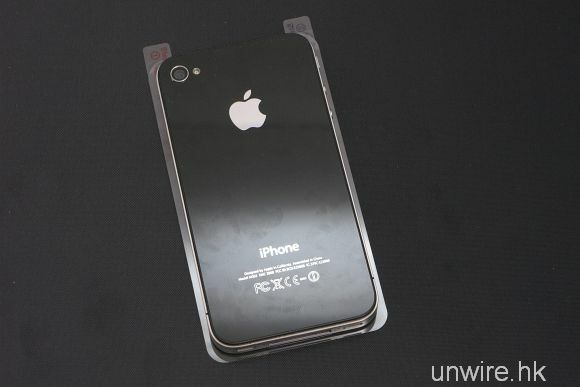 By MacRumors‘ estimate, the size of the case would mean that the iPhone 5 has a screen size of “at least” 4-inches. This contradicts earlier reports that the iPhone 5 will have a slightly smaller 3.7-inch screen. This new screen protector, however, provides the first posible look at the size of the screen itself. Because all we have are photos of the screen protector, it’s difficult to judge the exact size of the screen it would fit. But based on the images, we can see that the screen itself extends noticeably beyond the sides of the iPhone 4, bezels and all. Given that we have an actual product to base this speculation upon, this “rumor” is more substantial than much of the hearsay iPhone 5 chatter we hear so much about. And, in the past, it has not been uncommon to see iPhone accessories leak out of China — where the iPhone is produced — just before the official announcement of the next-generation handset. Regardless, we should be seeing the actual iPhone 5 soon enough, likely in the first half of October. UPDATE: BGR is now reporting that smartphone accessories maker Case-Mate published on its website images of cases for the iPhone 5 (they refer to it as “iPhone 4S,” so there’s that), which show the phone with tapered edges, a thinner profile and a metal back — more or less what we’ve seen before. Case-Mate has since removed the page with the fifth-generation iPhone cases, but not before BGR was able to snag ’em. Check out the Case-Mate next-gen iPhone cases here.